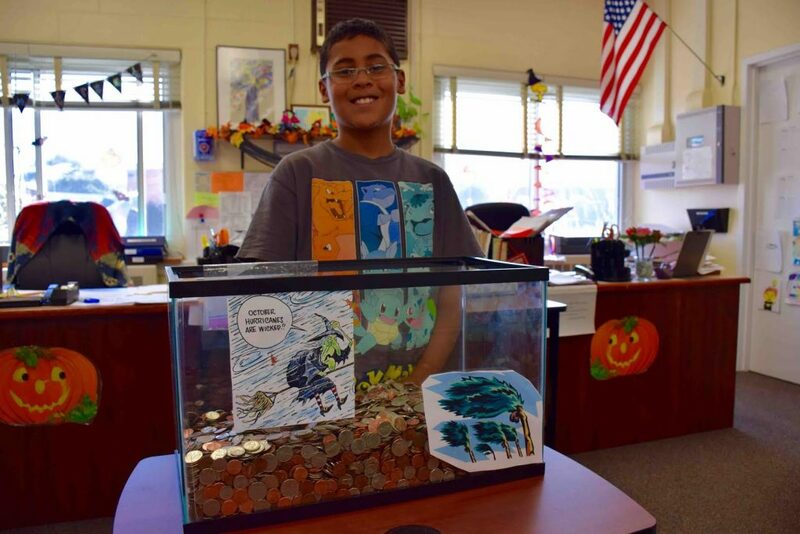 Administrators, staff, students and PTA members at Valley Stream District 30’s Shaw Avenue School recently worked together to raise money for hurricane victims through engaging activities and fundraisers in the school building. Through their efforts, they raised a total of $1,835 for Unidos for Puerto Rico (United for Puerto Rico) and the Caribbean Disaster Emergency Management Agency (CDEMA). The initiative was started by fourth grader Santi Pérez who approached Principal Alejandro Rivera after hearing about the devastation that Hurricane Maria left in Puerto Rico. He wanted to find ways to help others in need. “I wanted to do this because all their houses are flooding, they don’t have any food and they are not receiving the resources that they need,” said Pérez. To raise money, students and staff participated in a hat day where they each donated a dollar to wear their favorite hat for the day. They were also encouraged to drop their spare coins and bills into a fish bowl to see how quickly it could fill up. 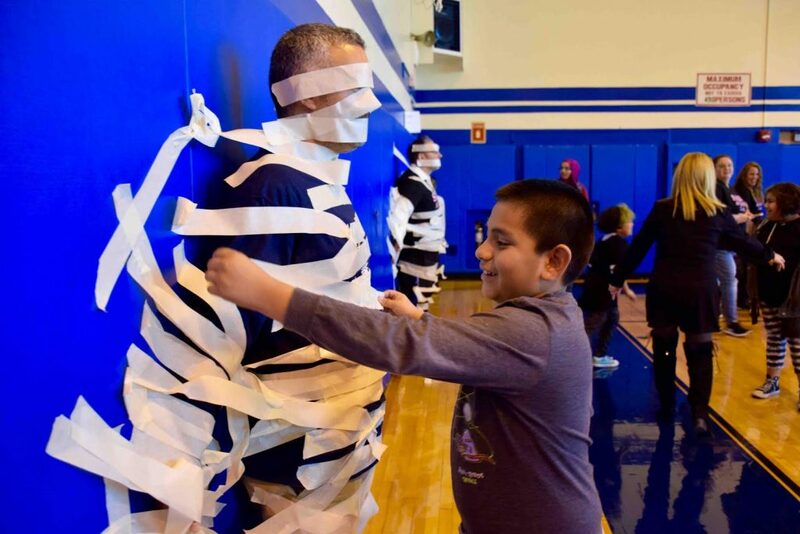 As a final activity, the students and staff participated in “Get Your Principals Stuck for a Buck.” For a dollar, participants could receive a piece of tape and stick Principal Rivera and Assistant Principal Christopher Colarossi to the wall of the school’s gymnasium. Fourth grader Santi Pérez started the hurricane relief efforts at Shaw Avenue School. 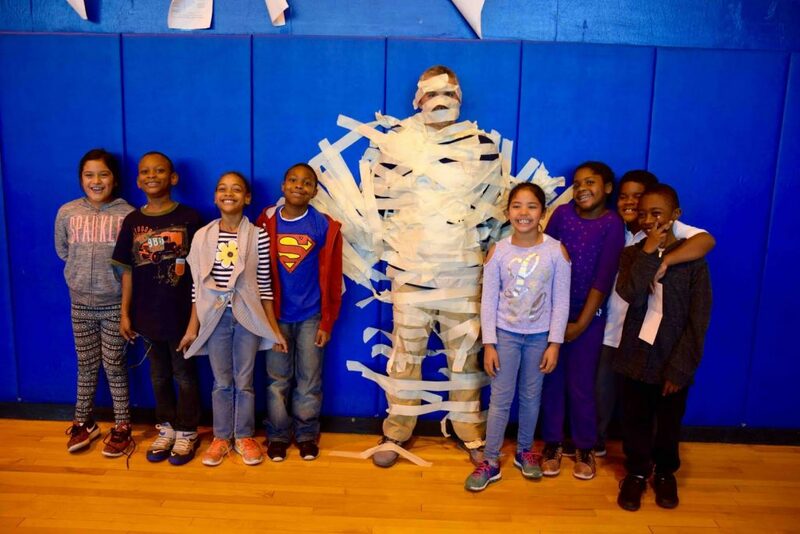 Shaw Avenue School Principal Alejandro Rivera was taped to the wall by students in an effort to raise money for hurricane victims. Third grader Nicholas Huerta helped tape his principal, Alejandro Rivera to the wall to raise money for hurricane victims. Students stuck Assistant Principal Christopher Colarossi (front) to the wall.